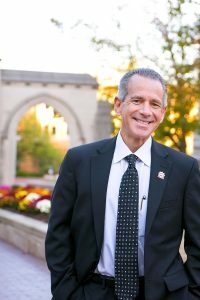 A new study co-led by Indiana University School of Public Health-Bloomington found that mice who repeatedly lost and regained weight, also known as weight cycling or “yo-yo dieting,” lived significantly longer than their obese counterparts — and in some cases even lived longer than mice who lost weight and kept it off permanently. The study, published in the journal Obesity, challenges previous findings that weight cycling is associated with an increased risk of death. The study, conducted in partnership with the University of Alabama at Birmingham and Columbia University, divided mice into four groups. The first group became obese and remained obese. The second group was put on a calorie-restricted eating regimen after growing obese, after which they returned to and remained at a normal weight. The third group was put on a calorie-restricted eating regimen after growing obese, returning to a weight between normal and the maximum level of their obesity. The fourth group was put on a calorie-restricted eating regimen, returned to their normal weight, then cycled again between obese and normal two or three more times. The mice who became obese and returned to a normal body weight increased their lifespan. Mice who gained and lost weight repeatedly increased their lifespan significantly compared to those who remained obese. In some cases, those whose weight fluctuated also increased their lifespan compared to those who lost weight but returned to and stayed at a normal weight. Looking forward, Allison hopes the study will inspire more robust research designs — including rigorously controlled animal experiments and interventional studies in people — that will further define the effects of weight change on human lifespan. Additional authors on the study are Stephanie L. Dickinson of IU; Daniel L. Smith Jr., Yongbin Yang, Tim R. Nagy and Amit Patki of the University of Alabama at Birmingham; and Joseph R. Vasselli and Yiying Zhang of Columbia University. The study was supported in part by the National Institutes of Health.